Please do your part to save water during this drought, even though it is winter. Whether you are on a public water supply or have your own well: conserve water inside through shorter showers, full dishwashers and clothes washers, fixing leaks and buying water-efficient fixtures. As you think about spring landscaping projects, give strong consideration to replacing lawns and irrigation systems with beautiful native drought-resistant and wildlife-friendly plantings. To put things into perspective, the Assabet, Sudbury and Concord rivers experienced record low flows until October. The lack of rain, combined with the lack of snow last winter, continues to cause aquifer levels and the water table to remain much lower than usual although our watershed has improved somewhat. The spring outlook will depend on snow, rainfall and temperature for the remainder of this winter. Town water supplies dependent on wells and reservoirs continue to be stressed as groundwater levels have not improved, or have worsened, in much of the state. The USGS reported Low and Much Below Normal (<10% of normal) groundwater level in our watershed during the summer. Recharge of aquifers and groundwater can only occur in the spring and fall. Frozen ground and growing plants prevent significant recharge during the winter and summer, respectively. It does not appear that adequate recharge will have occurred this fall to reverse the effects of the two-year drought, but there has been some improvement. In response to drought conditions, towns have implemented water conservation plans. OARS urges residents to take further steps to conserve water to reduce stress on local wells, streams and rivers. We are asking you not to water your lawn at all during the drought whether or not your town has mandatory watering restrictions. Save water indoors by running full loads in washing machines and dishwashers, shortening showers and flushing toilets less often. Join the effort to conserve water—help us try to avoid a drought Emergency. Even if you have your own well these are sensible measures to take—you and your neighbors are withdrawing from the same water source. That water is part of the same underground water system that feeds municipal wells and our streams. As drought conditions persist, OARS continues to promote sustainable water practices, advocate for the protection of the Assabet, Sudbury and Concord Rivers and their streams and ponds, and work to restore their natural hydrology. 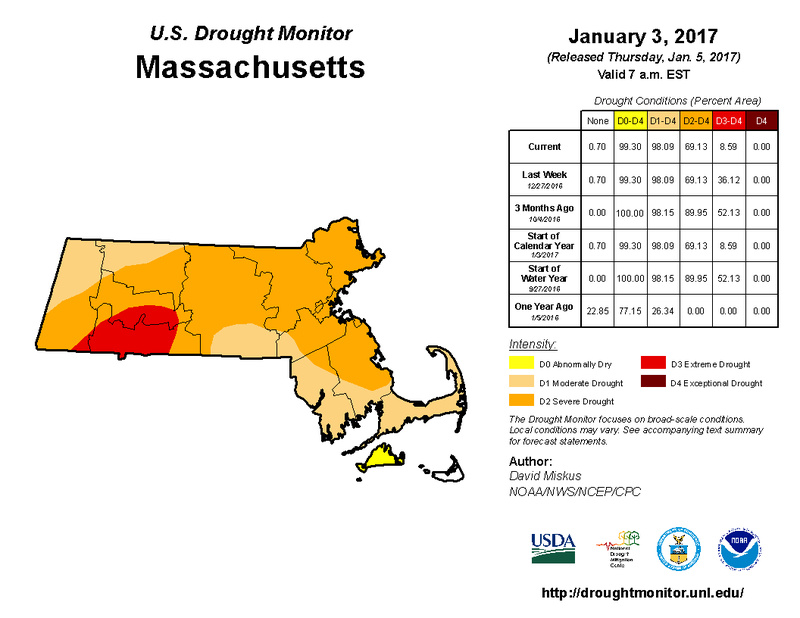 Mass River Alliance, along with OARS and 43 other environmental organizations recently wrote a letter to Secretary Beaton calling for leadership and water conservation as the drought worsens. The letter urges Massachusetts to better safeguard our fresh water resources for all their uses—recreation, wildlife, and water supplies—during the drought. Although water has returned to many of our streams and rivers due to recent rains, it will take several years to restore the aquatic and wetlands life that was killed this summer. If the drought persists next year the time for these ecosystems to be restored will be even longer. The cost of this drought has been felt in local economies, farms, businesses, and some industries as water becomes scarcer. In our view, the messaging by the EEA Secretary was inadequate this summer. A strong public service campaign to educate municipalities and citizens on the importance of indoor and outdoor water conservation, such as halting lawn watering and saving water indoors, is needed by next year, as well as changes to address the patchwork of regulation and compliance that exists across the state and within municipal borders.